I’m a big fan of historical fiction, but I don’t know what it is about WWII, but I’m continually drawn to books set in and around the Second World War. I picked up Code Name Verity from the library a few months ago, but never got a chance to read it (2 week loan period and I’d picked up multiple books). So over the winter holidays I picked it up from the library again. Code Name Verity by Elizabeth Wein was an absolutely fantastic read. Although technically a YA novel, I would recommend it to so many people as the characterization is fantastic and the pacing is pitch perfect. I definitely want to read more books by Elizabeth Wein now. Two young women from totally different backgrounds are thrown together during World War II: one a working-class girl from Manchester, the other a Scottish aristocrat, one a pilot, the other a wireless operator. Yet whenever their paths cross, they complement each other perfectly and before long become devoted friends. But then a vital mission goes wrong, and one of the friends has to bail out of a faulty plane over France. She is captured by the Gestapo and becomes a prisoner of war. The story begins in “Verity”s” own words, as she writes her account for her captors. 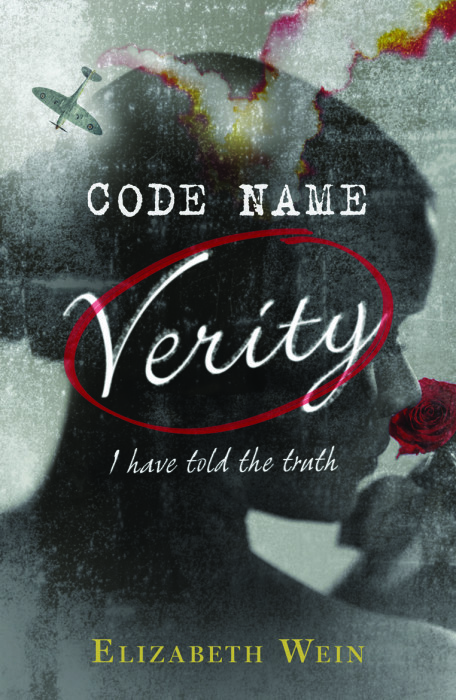 Code Name Verity is a compelling, emotionally rich story with universal themes of friendship and loyalty, heroism and bravery. The two main characters, code names Verity and Kittyhawk, are incredible. They are relatable yet fallible. They are both brave and scared, loyal and disobedient, trusting and doubtful. Both are so well-written, complex, and three-dimensional characters—and I loved them. The novel opens as a journal entry by Verity, who is detailing how Kittyhawk came to be a pilot serving during WWII, a rare occurrence for a female. We learn that Verity is also employed in a stereotypical male role as a spy for the British army, who began as a wireless operator and maintains that cover throughout. As a prisoner of war, the journal is an account written for the officer holding her captive. Just as we—as readers—begin to doubt the reliability of the narrative, the entire novel switches gears. We are thrown into Kittyhawk’s narrative, and as the pace quickens in the novel, the stakes are raised yet again. As more gaps are filled in, more questions are raised. Featuring just the right amount of flash backs and foreshadow, Code Name Verity is a gripping intrigue filled with mind games and emotions.